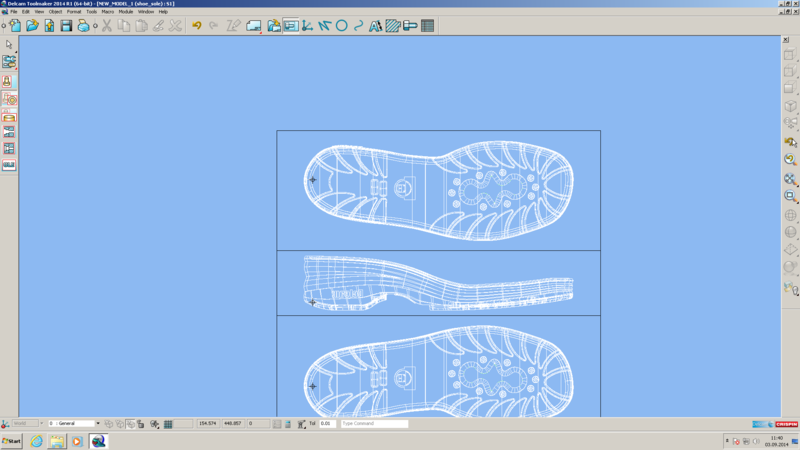 Delcam CRISPIN has launched the 2014 release of its ShoeMaker CAD software for the design of all types of footwear. This version offers improved visualisation of designs with the new KeyShot rendering engine, the ability to create lasts for boot designs, more options for heel design, and additional items in the extensive library of accessories supplied with the software. For further details on the new release, please go to www.footwear-cadcam.com. ShoeMaker is the only footwear CAD program to integrate fully the 3D design of lasts, uppers and soles, so allowing the complete shoe to be developed and visualised in a single system. This integrated approach benefits all footwear designers, but is particularly advantageous for companies making sports shoes and other designs that include complex soles. With the KeyShot rendering software now built in to ShoeMaker, laptops, tablets or smart-phones can be used to show more realistic images of new designs to prospective buyers for styling and marketing reviews. This reduces the need for physical samples, cutting overall costs and shortening product time to market. Similarly, using more realistic images improves communications between design and manufacturing teams, minimising the chance of errors and again helping to introduce new designs to market more quickly. A more advanced rendering package, KeyShot CAD Pro, is available as an upgrade which offers additional features including unlimited rendering resolution, render queues and turntable animation. The images have also been made more realistic with more options for shoe relaxation. The relaxation can now be spread either smoothly or linearly, and with different effects for designs that either do or do not feature a tongue. ShoeMaker 2014 also has the ability to design a boot leg extension for any last. 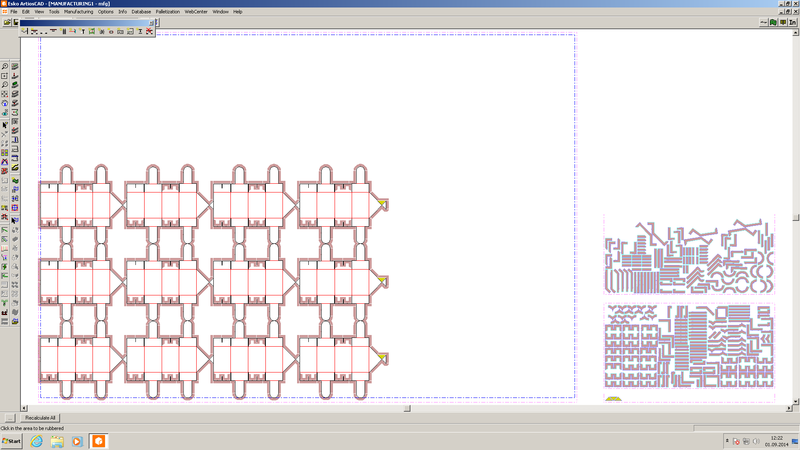 The full range of dimensions to control the shape of the extension can be entered and edited in the 2D window, and the design is then created in 3d. Once the design has been finalised, it is possible to grade the extension area, simultaneously with the other areas of the last. A new series of options for heel creation has been added, including options specifically for the design of stiletto, flat-breast and straight heels. A range of sliders and buttons can be used to adjust the heel parameters, such as the amount of curvature on the front, back and sides of the heel, and the tangency at the top of the curves. A key part of ShoeMaker’s ability to speed up the creation of novel designs is the large library of data supplied with the software, including ranges of materials of different types and colours, plus accessories including eyelets, buckles and zips. This library has been extended with the addition of more styles of loops, most of which can also be used as lugs. Two new stitch types have also been added to the stitch library. ShoeMaker still offers a very easy-to-learn interface, making it ideal for concept designers that might come from an artistic background rather than an engineering education. All of the icons feature specific footwear imagery, making the software very intuitive to use. Of course, ShoeMaker remains fully compatible with the complete range of Delcam CRISPIN software for 2D and 3D manufacturing, including the programs for costing, material cutting, mouldmaking and inspection. A single file can be used for each complete project, from initial concept design through to mass production. This makes data management and project planning much simpler, and so allows faster introduction of new designs, with greater confidence that the designer’s intent is captured in the finished footwear. Voluson users can use 4D View software to optimize, manipulate and analyze volume ultrasound data offline. This software is available stand-alone to add to your PC or as a direct plug-in to GE's ViewPoint patient data management solution for reporting and image archiving. The Voluson provides the benefits of Volume Ultrasound imaging, while ViewPoint and 4D View help to deliver data management when and where you need it. 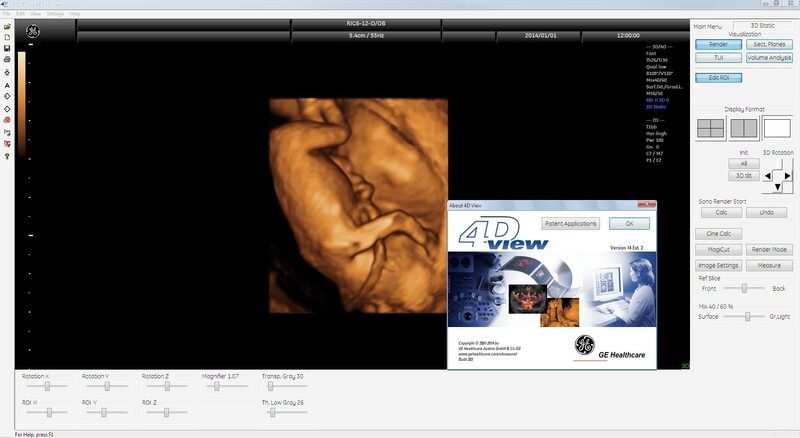 4D View allows you to optimize, manipulate and analyze Volume Ultrasound data. Available as stand-alone software for your PC or as a direct plug-in to ViewPoint, 4D View moves image manipulation offline, so you can free your ultrasound machine to image more patients. Through the combination of Voluson and ViewPoint with 4D View, you can extend your clinical capability, streamline your workflow and increase diagnostic confidence.